We just finished the old Pakistan customer inspection in factory successfully for 3 sets of mobile transformer oil purifier ZYD-WM-100/6000LPH for second tender. ZYD-WM-100 can process and purify 6000 liters oil per hour for onsite transformer oil processing, it can remove the impurities, tiny particles, gas, free water and dissolved water from oil ccompletely. It also can be used as vacuum resource machine to supply vacuum condition for transformer onsite. We REXON team sincerely welcome every customer to visit us and We will always to be your most reliable supplier. Our old customer Mr.Maher from Saudi Arabia visited our company again, and their company ordered the ZYD-150 (9000LPH) Transformer Oil Purification Machine 1 month ago, and this time he is coming for machine inspection. This customized ZYD-150(9000LPH) Transformer Oil Purification Machine takes PLC fully automatic electrical control system, which can operate the system automatically. And it takes sufficient PLC controlling parts to operate customer’s oil tanks inlet and outlet also fully automatic mode. After inspection, our customer is very satisfied and happy with our oil filtration equipment. We welcome all customers visit us and hope to cooperate with each other for long future. Customers from Africa country just visited us for the vacuum oil purification system TYA-150 for their new project. 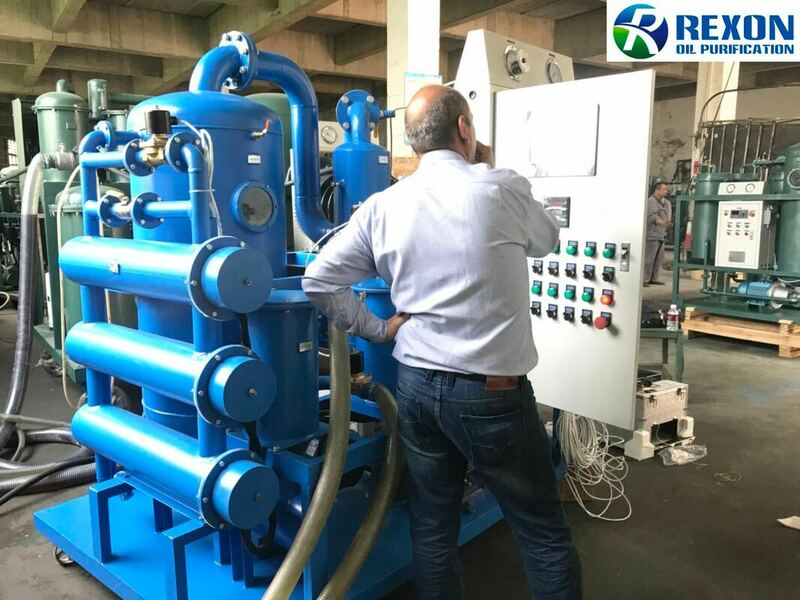 We have made a very detail introduction of the oil purifier machine to customer, we showed customers the raw materials for the equipment building, and construction details, main components specs, spare parts details, etc. After the factory visit and with our communication and introduction, customer ordered two oil filtration equipment from us on-site. This time we have a great meeting, and our customers are very satisfied with our vacuum oil purification system, they admitted our advanced technology and high quality raw materials for the equipment, and committed to us to have more cooperation with us in future. they also showed their sincerity to build long term cooperation relationship with us, and showed the willing to be our sales agency in their country, we are happy to have a deep cooperation relationship with them too. 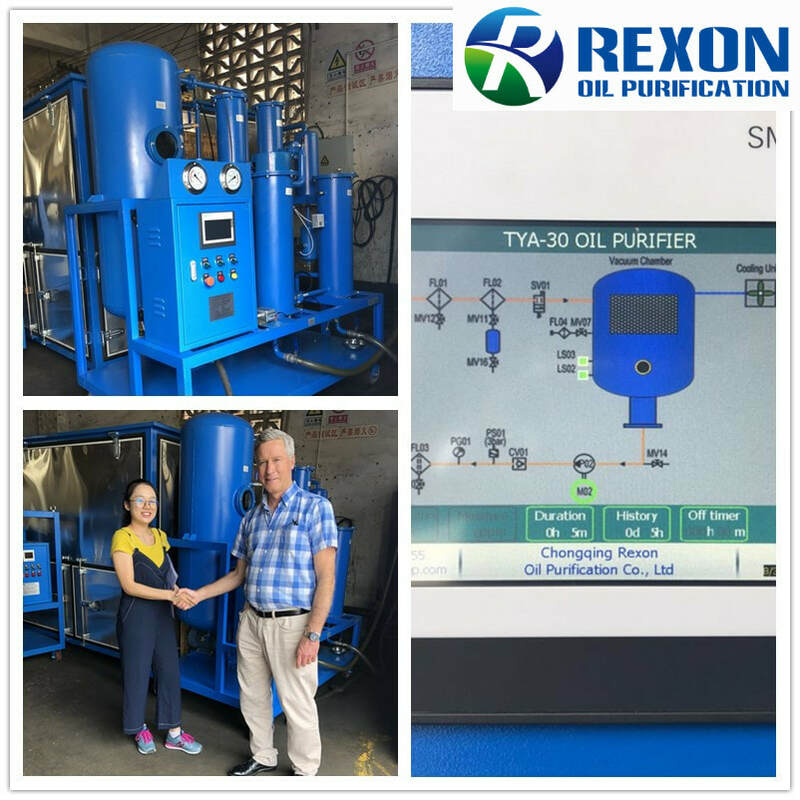 ​We just finished the Australia customer inspection in our factory successfully for the multifunctional vacuum oil purifier TYA-30, which can deal with various kinds of contaminated dirty industrial oil like lube oil, hydraulic oil, engine oil, compressor oil, used cooking oil for bio-diesel or bio-fuel. This orderd TYA-30 takes PLC auto control system, online Particles accounter, and advanced new filters, etc to build the system. TYA-30 performed very well and the oil process is very smoothly all the time. 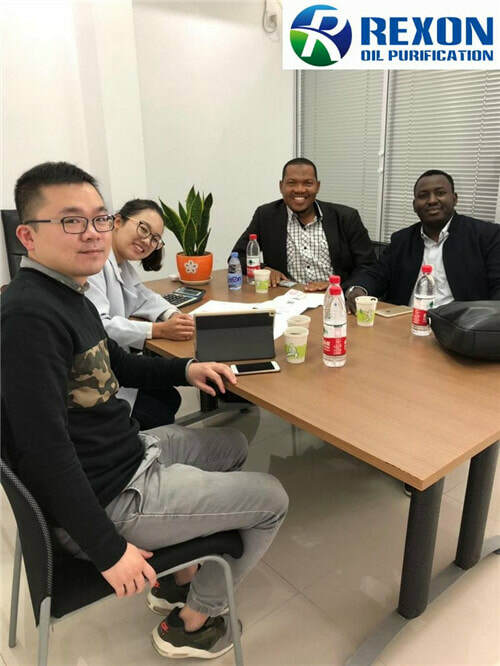 This time we have a very nice meeting, and our customer and friend is very satisfied with our vacuum oil purification system, and admitted our advanced technology and high quality raw materials for the equipment, and committed to us will have more cooperation with us in future. 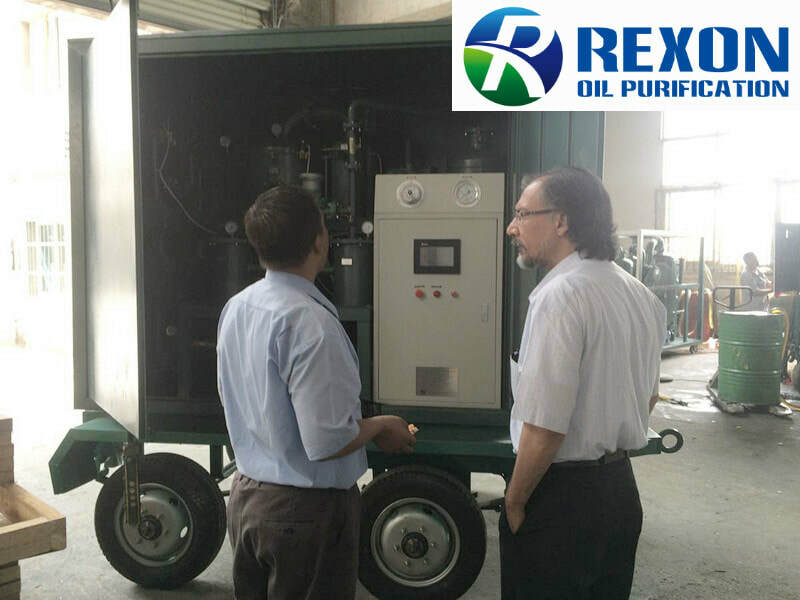 Rexon is aiming at to provide best and high efficient oil solutions for our customers, we promise to be your reliable oil purification partner, and sincere as good friend. We manufacture plenty of vacuum oil purification machines near 20 years including high voltage transformer oil purification system, oil fitration plant, lube oil purifier, hydraulic oil filter machine, engine oil processing, used cooking oil filtering machine, portable type mobile oil filter, etc. Customers are very satisified with our products. ​We sincerely willing to cooperate with more cusotmers and offer particular oil purification solutions for you to solve your oil problems and maintain your machinery, save your oil cost, make your oil envirounment green.